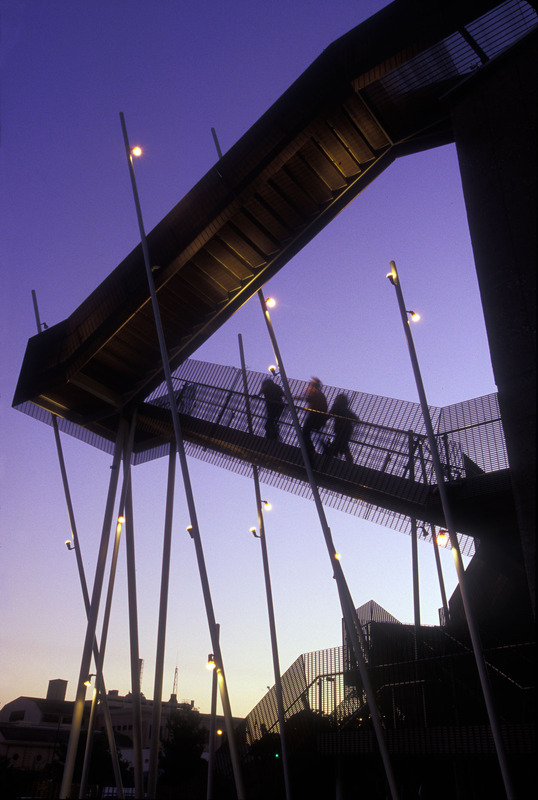 People walking on exterior building staircase silhouette against dusk sky at Art Center College of Design in Pasadena, California. Architecture. David Zaitz Photography.